Linad Creations - Dream Kitchens, Built-in Cupboards and Bathroom Vanities servicing Pretoria, Midrand and Johannesburg. On time, within budget and with a delighted customer. Thats what you need. As a professional Builder, Architect or Interior Designer, you realize the importance of a team approach to the successful completion of your client’s project in time and on budget. Linad Creations can be an integral link in your team, working in concert with your project supervisor, appliance supplier and other trades. We can work seamlessly with you and your client to develop highly detailed custom plans and elevations for the kitchen, bedrooms, bathrooms and any other areas of the home that may require cabinetry. We work with you before, during and after the actual construction, customizing our services to meet you and your clients needs. From first estimate, to installation, to the snag list, we have a hands on approach making sure this part of your project runs smoothly and effortlessly. We assist you in making early decisions about the kitchen or built-in cupboards design and materials; streamlining this part of the construction phase to limit change orders that drive up costs up and/or cause delays; and provide competitive quotations and estimates. Linad Creations is highly respected and offer complete customization, uncompromising quality, solid utility, and warranties that are second to none. 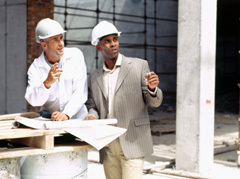 When planning your next project, please let us know how we may be able serve as part of your team.